Americert International (formerly known as OIA North America) is a USDA accredited certifying agent under the USDA National Organic Program providing organic certification for producers, processors, and handlers. Providing organic certification in Florida, Georgia, Alabama, Mississippi, Louisiana, Texas, South Carolina, North Carolina, Virginia, New York, New Jersey, and throughout the United States and the world, Americert International focuses on flat fee, customer-service oriented organic certification for operations of all types and sizes. To learn more about Organic Certification, please go to our Organic programs page. Please view our USDA accreditation certificate here. 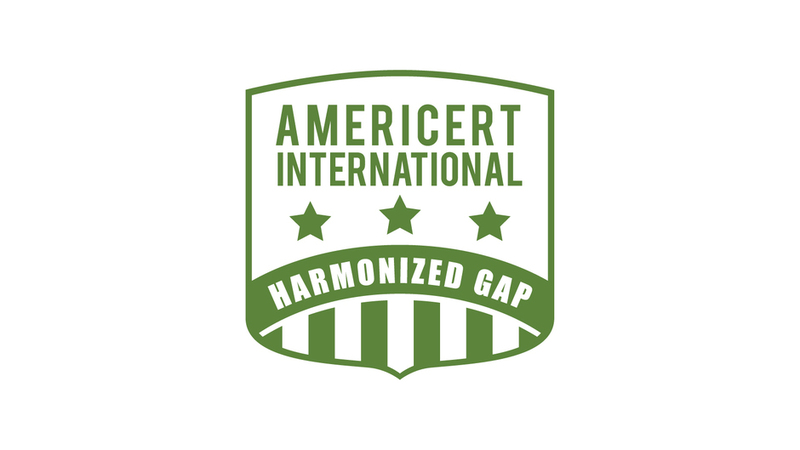 Americert International is approved by United Fresh Produce Association as a licensee to conduct audit and certification of farms and packing facilities which operate in compliance with the United Fresh Produce Association's Harmonized GAP standards. Our approval letter can be viewed here. To learn more, please go our HGAP Certification page. Americert International's US FARMGAP program is a food safety and Good Agricultural Practices certification program which helps ensure that best practices and food safety principles are embraced throughout the supply chain. From farm gate to the table, US FARMGAP provides independent verification that food safety and best practices have been addressed throughout the supply chain--from producer to packer. To learn more about Americert International's US FARMGAP program, please go to our US FARMGAP program page. As a USDA accredited certifying agent, Americert International has the responsibility and authority for reviewing the acceptability of materials for use in organic production, handling, and processing. To view a list of products approved for use in organic agriculture or processing by Americert International, or to learn how to have your product listed in the Americert International Approved Materials Registry, please go to our Materials Review Program page.